Burns night was celebrated in true style at Cornwell Court on Wednesday 25th January. The Burns night supper included ‘Haggis, Neaps, and Tatties. The Social Committee made it a spectacular evening and their efforts into making it a professional and enjoyable event was commented on by all who attended. Cornwell Court placemats were made. Candelabras, crystal decanters, and a Burns night supper programme were just some of the little extras that made it such a wonderful evening. Well done! This entry was posted in Uncategorized on March 23, 2017 by agamemnonha. 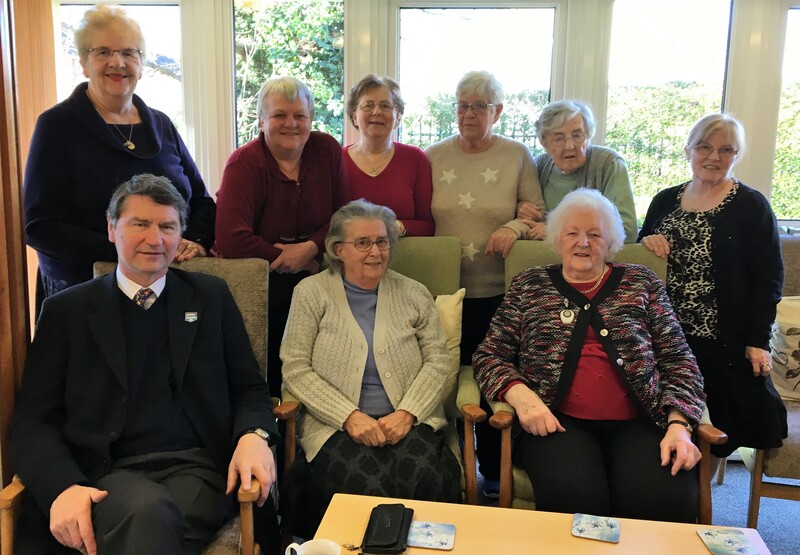 Sir Tim Lawrence Popped into meet some of the former WRNS and other residents at their coffee morning in Victory Court. This entry was posted in Uncategorized on March 6, 2017 by agamemnonha.